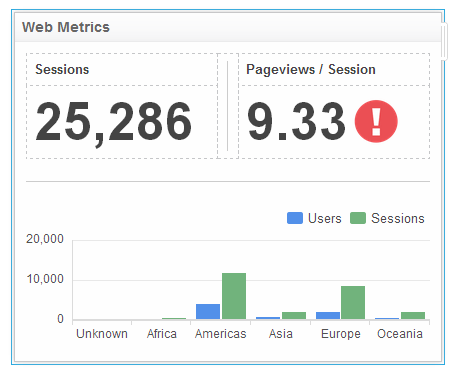 Build-a-Klip Tutorial: Phase Five – How can we help you today? As a final step, let's use a SUBSTITUTE function to replace "not set" to unknown in our chart. In the Chart component, (not set) is not a terribly useful label for its corresponding data set. Let’s use a function to change (not set) to Unknown. Select X Axis in the Component Tree. 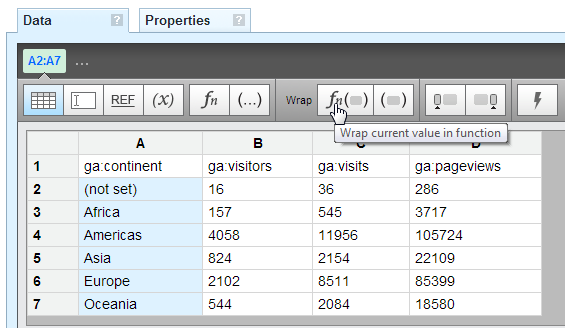 On its Data Panel, click the Wrap with Function button. 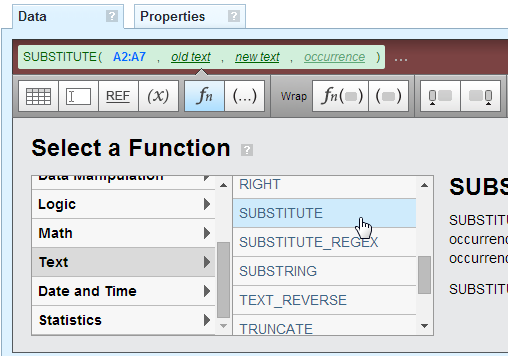 Navigate through the Text submenu to select SUBSTITUTE. Note that the vector, A2:A7, is still represented in the formula. Click on the old text link in the formula and select (not set) in your data. Click on new text in the formula. 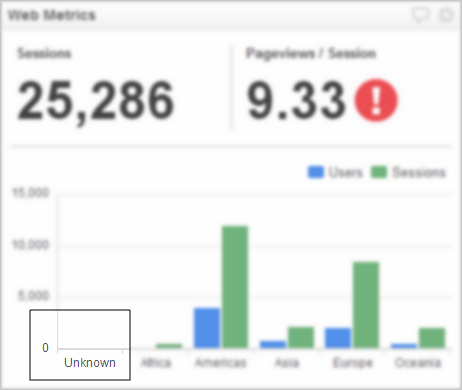 Using the Insert literal String or Number button, enter the text “Unknown” and click Apply. Your Chart will update and any references to "(not set)” will be replaced by Unknown. Let’s save your Klip. Click the Save button at the top right corner of the Klip Editor. Add a description if you wish. When you’re finished, click the Finished button. Congratulations! You have created your first Klip with multiple components!